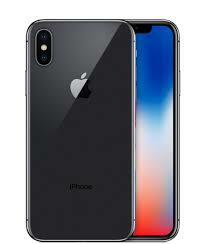 This guide is back up for people who accidentally restored their iPhone to the old backup and want to undo the restore. 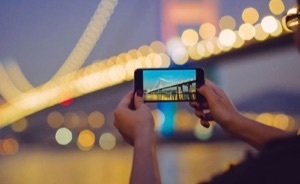 If you are one of these people, luckily, you can recover lost data by reading this guide. Q: I accidentally clicked “restore backup” on iTunes when suddenly all my latest photos were deleted instead my past and deleted photos and videos were restored back and I wasn’t able to back up my latest photos. Can I recover my latest photos? You may accidentally click “Restore Backup” button on iTunes when you connect your iPhone to iTunes and try to make a backup with it. As a result of this mal-operation, you will lose everything on your iPhone. Besides, there’s another situation where you might restore your iPhone with a backup from a different iOS devices. If you meet either of the two situations, you will lose all files on your iPhone. 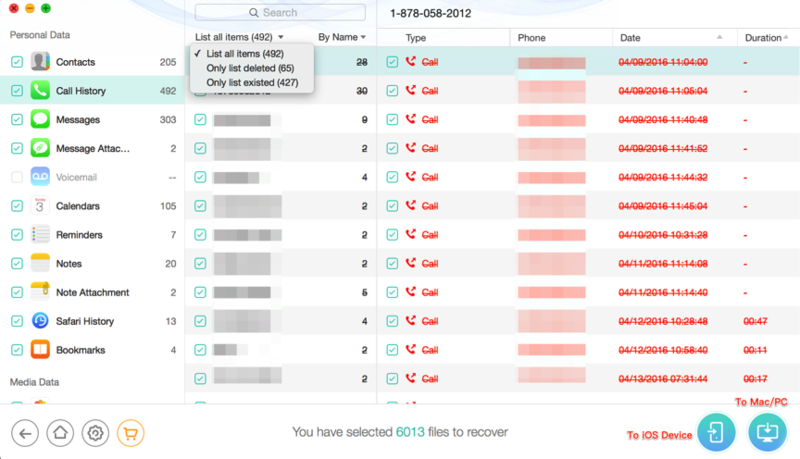 Actually, the issue that restored wrong iPhone backup has bothered lots of iOS users. you might also encounter this issue. When you meet with this issue unluckily, you may wonder that how do you undo a backup restore for iPhone? Actually, App doesn’t provide any method for you to undo a backup restore for iPhone. That’s might make you mad. But that doesn’t mean you have no chance to get your lost data back. Here in this guide, we will introduce the tip to you to find your lost data back without the backup. Help recover up to 25 types of iOS data, covering messages, photos, notes, contacts, Safari bookmarks, and so on. Supports preview data before restoring, then you can selectively restore what you want to your device or to the computer. 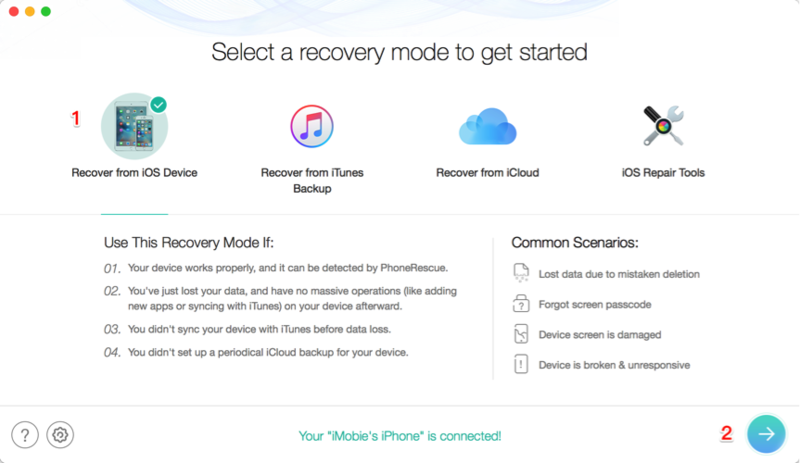 Supports 3 recovery models: Recover from Device Directly, Recover from iTunes Backup, Recover from iCloud Backup. Whether you have backup or nor, you can find your lost data back. Supports almost all iOS devices including iPhone 8/X/7/6/5, and iPad, iPod touch. Want to restore iPhone without backup? PhoneRescue for iOS will help you make it. 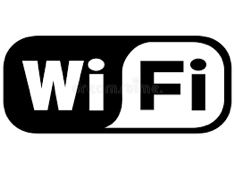 Keep reading on this post to learn more. 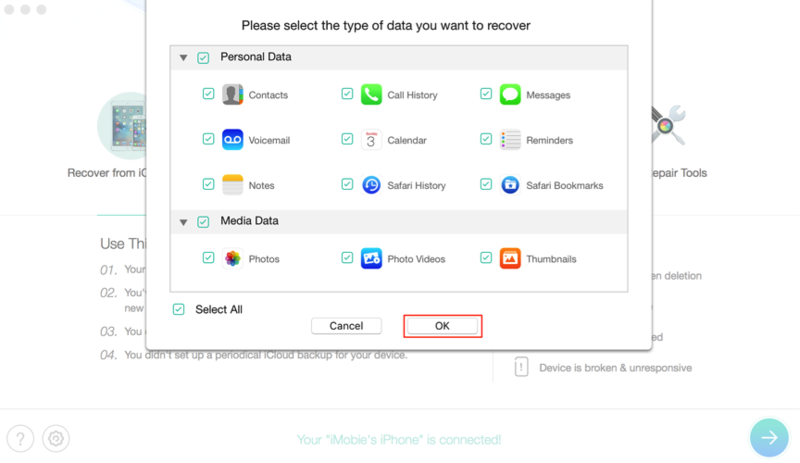 Now you can follow the steps below to restore your iPhone without backup. Step 1. Download Free Trial of PhoneRescue for iOS on your computer > Connect your iPhone to the computer via USB cable > Click Recover from iOS Device mode > Click Right Arrow to proceed. Step 2. Check the file categories you want to restore to your iPhone > Click OK to start the scanning process. Step 3 Preview and select the files you want to restore > Click To Device or To Computer button to get them back to iPhone’s correspond App or Mac/PC computer. 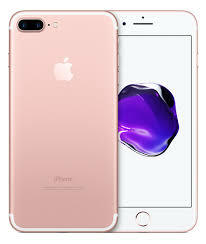 If you are the one who accidentally restored iPhone without backup or accidentally restored iPhone to the old backup, you can fix the issue by using the method above to find your lost backup contents back. Hope this guide helps you out. If you think it’s helpful, just share it with others.